It’s heartbreaking to see a bathroom neglected. Most of us don’t tend to think about the amount of time we spend on it. 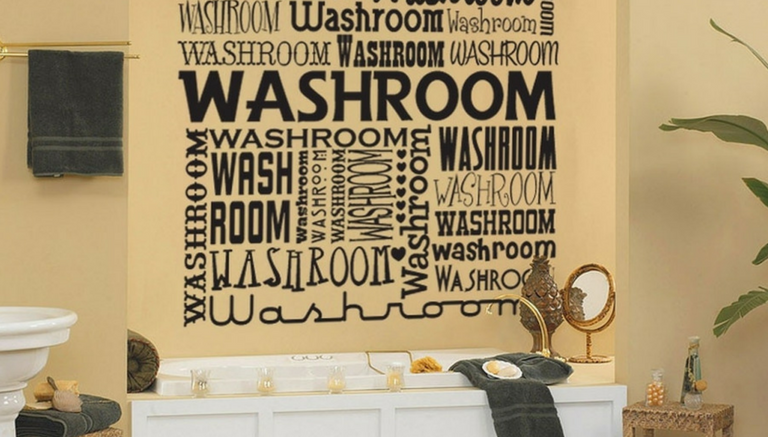 Therefore, bathrooms can be overlooked so easily. 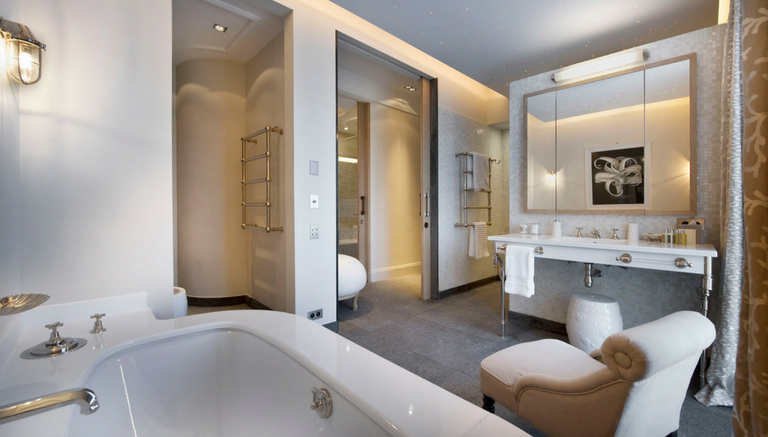 But for those of us who are tired of seeing the same bathroom decor over and over again, we have compiled four simple tips you can follow to turn your trivial bathroom into a luxury wonder. Pieces of decorative wall art can often be found hanging from either the foyer walls or our living room spaces. 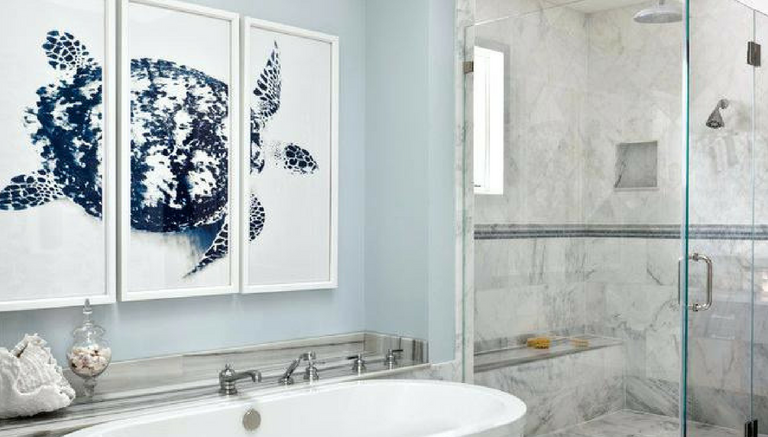 These pieces of art add personality to a room, and it’s such a shame that homeowners don’t think about personalizing their bathroom spaces half the time. 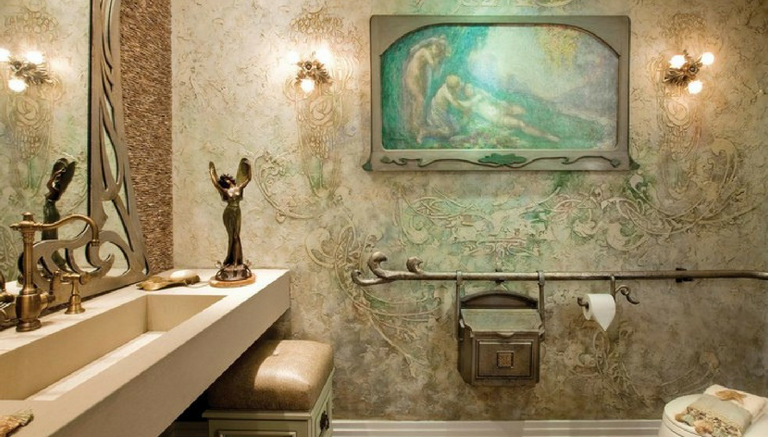 But when you look at it closely, adding artwork to your bathroom may be worth the second look. 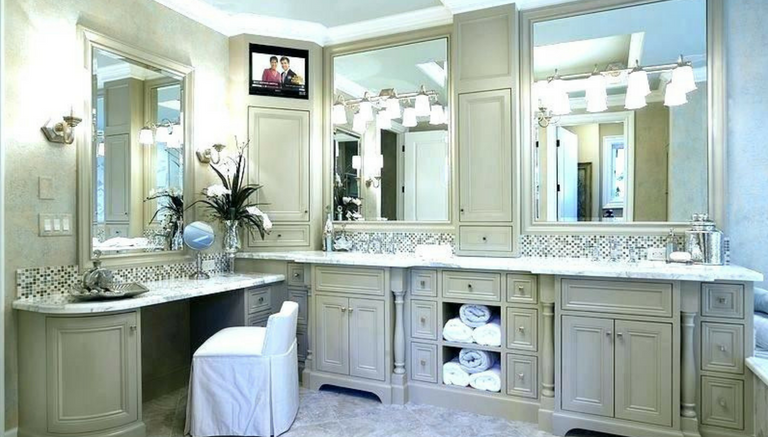 When you think about bathrooms, what are the usual essentials? 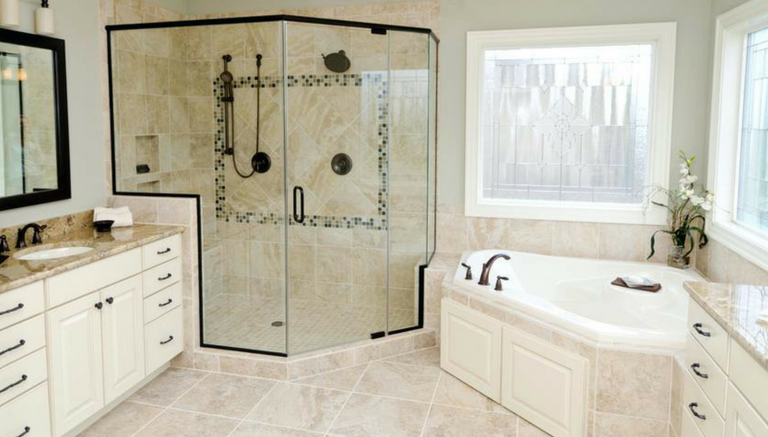 The sink, the shower stall, the bathtub, and the toilet. 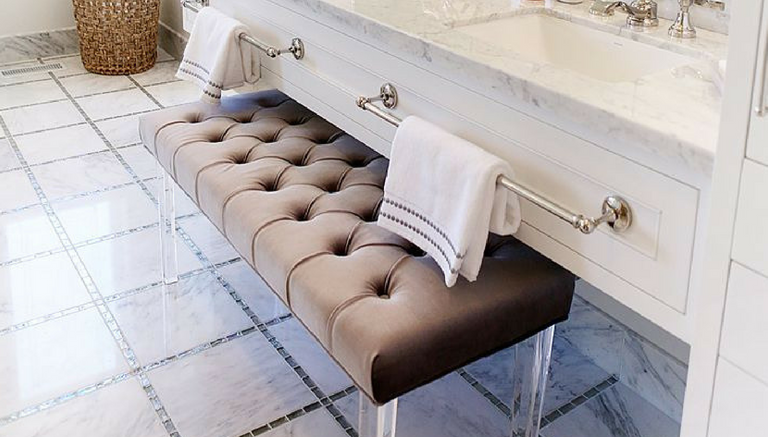 But adding an ottoman or a few benches into the mix will actually help your bathroom look more upscale. One might even say it lends an air of elegance. Don’t forget trying to add vanity tables, counters, and some floating shelves too. 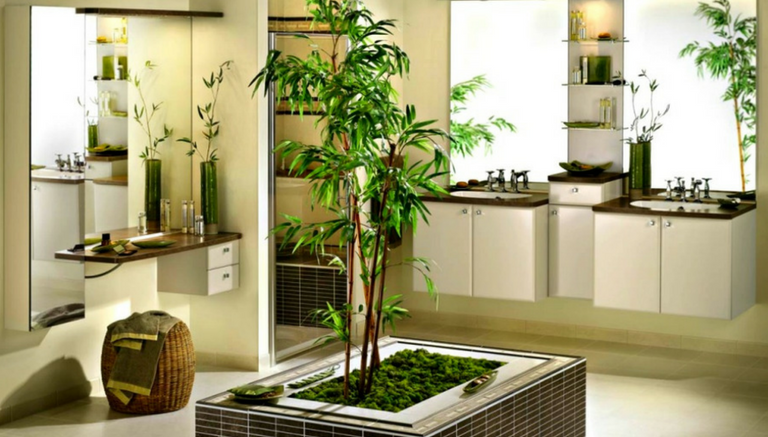 Something as simple as adding a few potted plants in your bathroom can really spruce up the space. 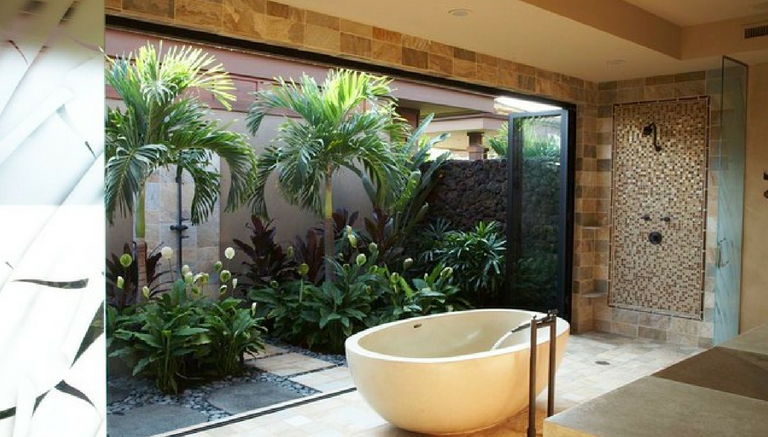 One thing worth noting, however, is that most luxurious bathrooms often incorporate the outdoors as design elements. If your original house plans permit it, try and look for ways to bring the outdoors indoors with new glass window treatments. 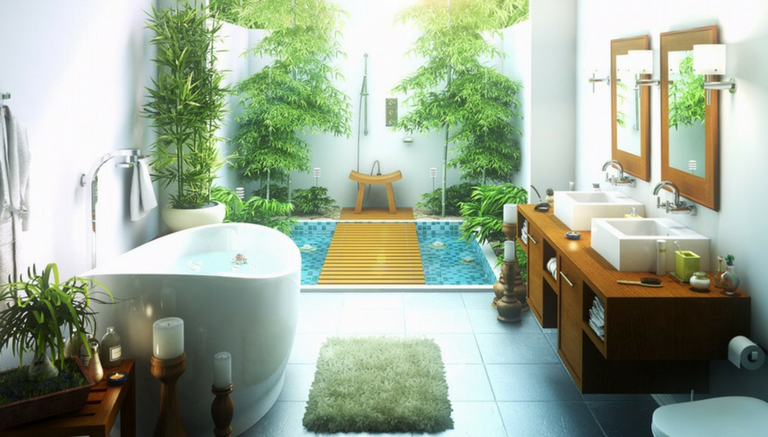 Sprinkle your bathroom space with a bit of zen. 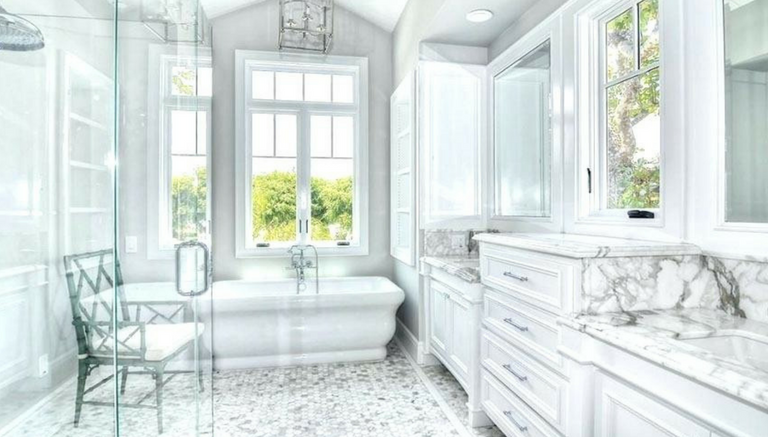 Even the most trivial bathroom can look stylish and luxurious in white. 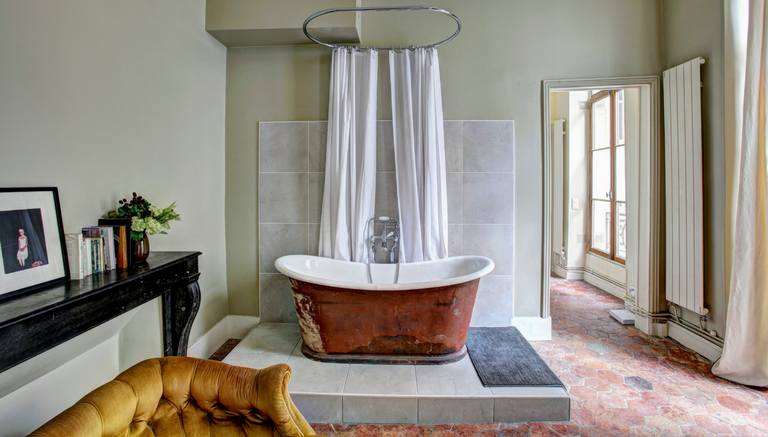 Use light neutral paint color and white bathroom linens to recreate a hotel atmosphere. 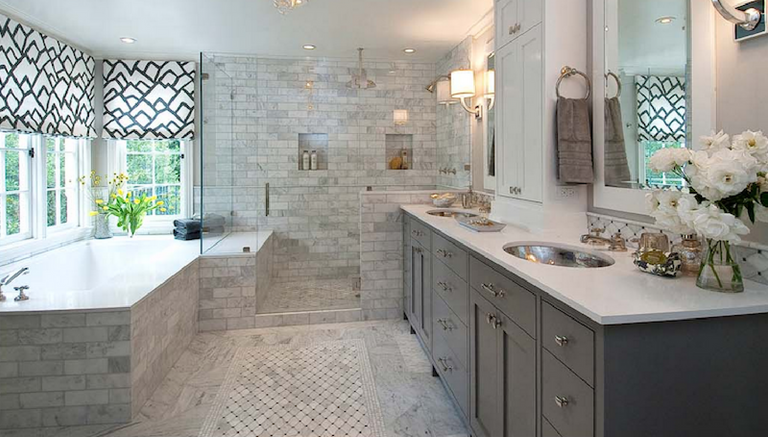 However, if you’re looking for a more classically luxurious feel, you can try painting your bathroom in shades of gray. It’s a trendy color breaking through the design industry for a good reason. It’s a soothing neutral and finding trims and other pieces of furniture to match it are easy. 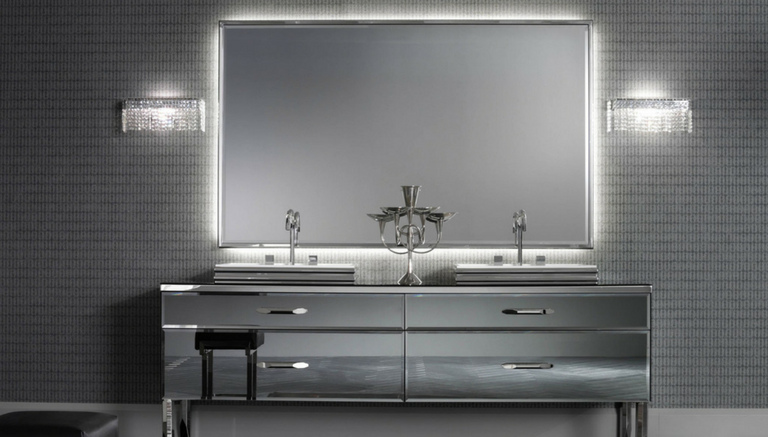 Use lighting and accessories to complement those gray walls. 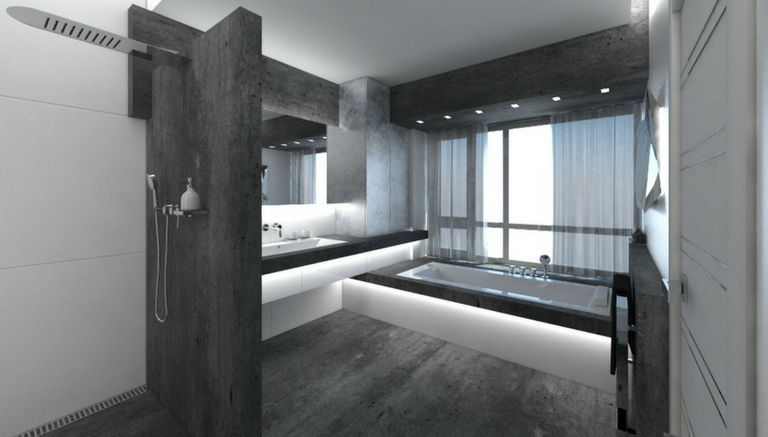 But if gray or white just isn’t going to cut it, and you feel like wanting an edgier and classier luxury bathroom, try black. 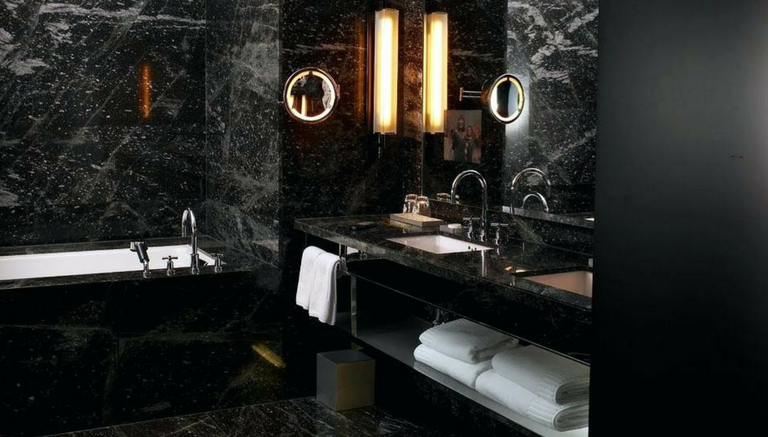 Black is a timeless and sophisticated neutral. You often hear people saying how black can be paired up with any color. And they’re right. 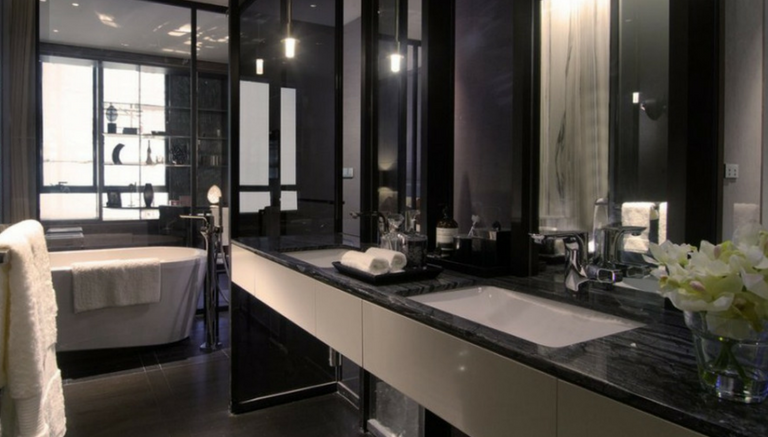 Add plenty of indoor plants and light neutral bathroom furnishings to an all-black bathroom and you’re good to go. 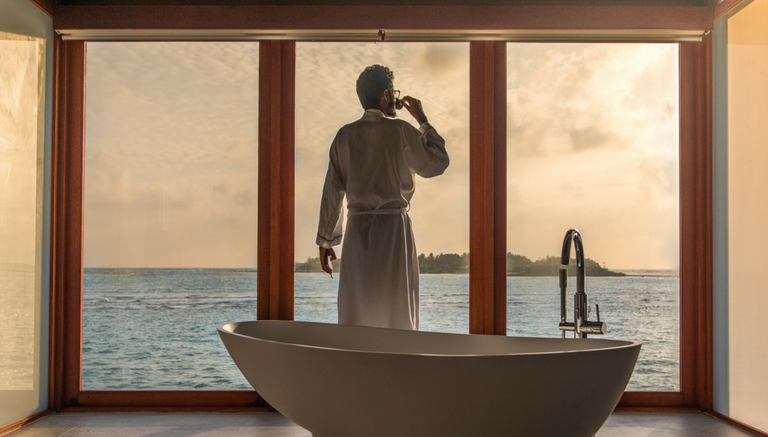 With a little work, effort, and maybe some wicked DIY remodeling skills, you are perfectly capable of transforming your old bathroom into a fancy lavatory ala Four Seasons Hotel in Bali. Want more useful home tips? 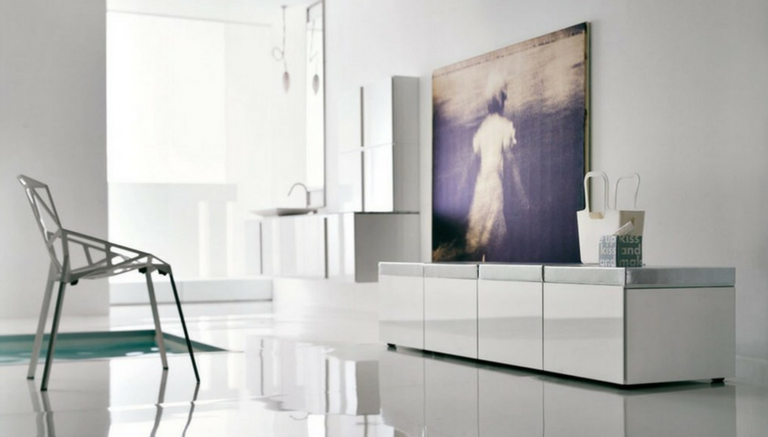 Keep browsing through Urban Houses for awesome ideas to incorporate into your home.